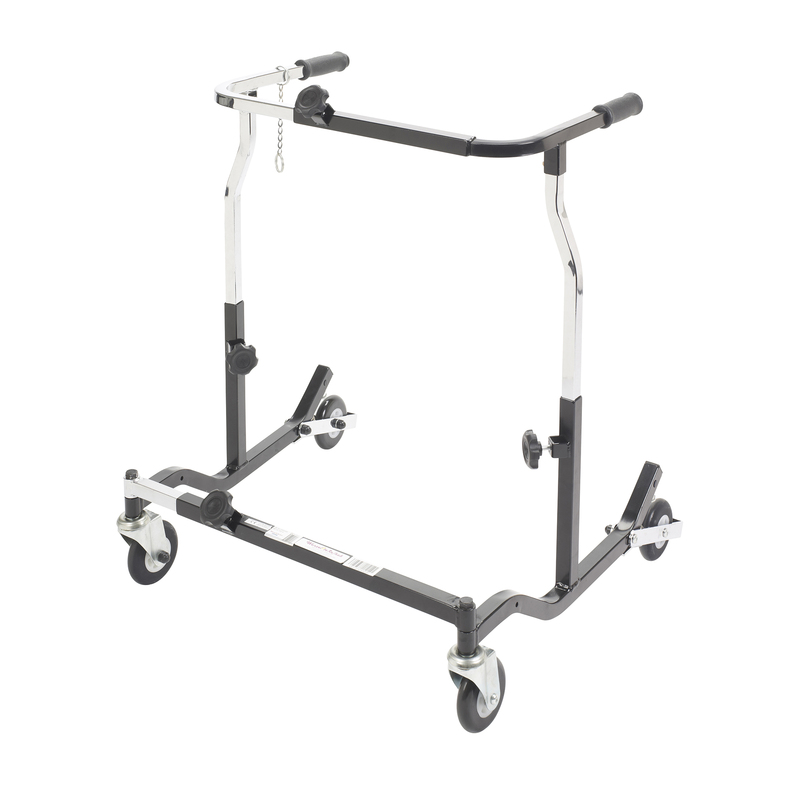 The Bariatric Anterior Safety Roller from Wenzelite features sturdy construction and a functional design to give adult users confidence as it encourages safe ambulation and a sense of freedom. The unit's adjustments and modular components allow it to be tailored to the specific user. Simple pressure to the Roller's handlebars activates the secure braking mechanism preventing the wheels from rolling which is ideal for users with limited hand function or limited cognizance. The Roller also halts in step with the user and the brake automatically engages should the user stumble.